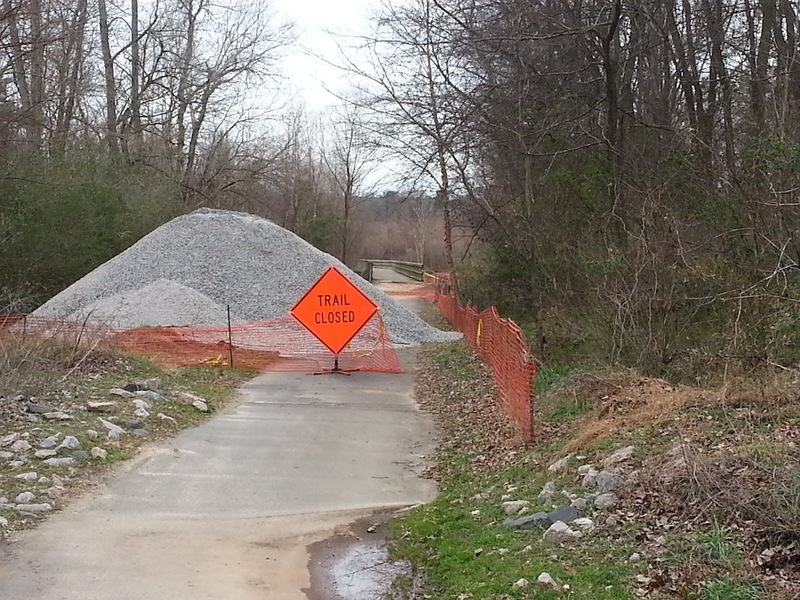 Car problems pushed me onto the local greenway recently for a ride along Crabtree Creek. After passing an initial worrisome sign that was intended to discourage me, it turned out nice to be on two wheels instead of four. While nothing like the Big Muddy which drains much of our nation, the Creek was elevated from recent spring rains and running turbid. Sources for the sediment include runoff from development in the watershed to the erosion of streambank sediments deposited in years and decades past that are being churned up by the fast flowing water. Even with the dirty water, ‘Lil Muddy’ was a peaceful place to be. The flowing waters made me forget the urban landscape and the birds were more of a chorus than the traffic. 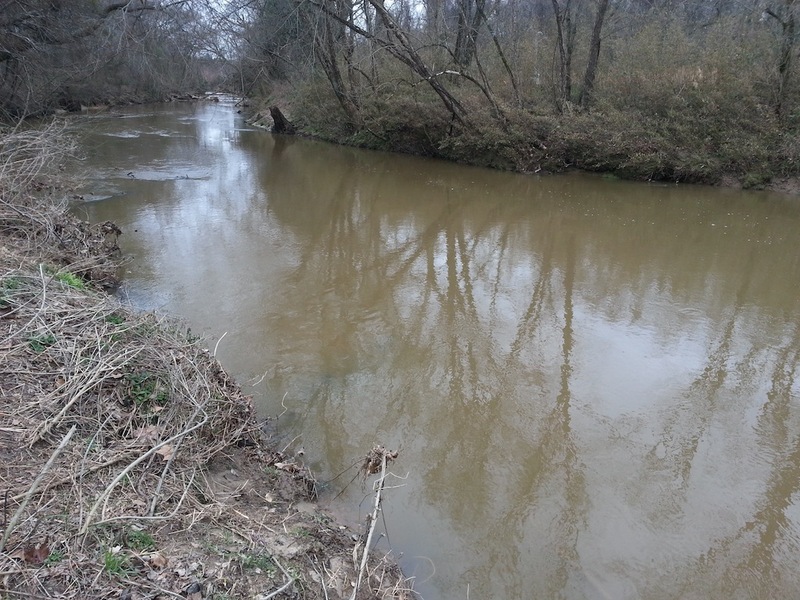 Restoration for urban watersheds such as that for Crabtree Creek is complicated and expensive. Policies and resources are needed as well as participation of residents in the watershed. A role for mitigation banks is to offer cost-effective options to reduce nutrients and improve the quality of water flowing down Crabtree Creek, to the Neuse River, and eventually to the Estuary. While heavy flows will always dirty-up a river, through measures such as tree planting, erosion prevention and education efforts, we’re working to make it a lil less muddy. Crabtree Creek under Capital Blvd.